It’s officially the start of the new year and with the change we tell ourselves it’s time to get those resolutions underway. Along with the rest of the UK we jump in front of the mirror and proudly declare “New Year, New Me”. We promise ourselves that this time we’re going to really get in shape, eat our five a day and wiggle our way into a pair of jeans two sizes smaller with ease. Easy-peasy! Right? But, suddenly, it’s been a whole 3 days into our new diet, that morning celery juice couldn’t look any less appealing, and let’s face it – we’re gagging for a glass of vino, a slice of bread and a chocolate bar! Before we know it we’re ready to embrace what we’ve got and say ‘sod it’ to the healthy eating plan until next New Year’s Eve. Whilst body confidence and loving the skin we’re in is so important, eating more healthily also has a really important place in our lives – and, the beauty of it is that it doesn’t have to be as difficult as it seems! With a quick flick on to the tv, a scroll down social media or a wander down the high street it won’t take long to see a whole host of products promising to get you that perfect healthy body. For beginners, this can seem a little intense, especially if you haven’t got a clue where to start. So, here at Bratts we’re going to do our bit and help break down how you can make some small changes to eat healthier in 2019! We should all aspire to be the healthiest version of ourselves possible. For many of us, that doesn’t mean having a perfectly ripped six-pack, we are being more realistic about what we want. We just want to feel confident in our clothes, and even better, in our swimwear. It all starts off with a bit of balance. It all comes down to a really simple formula. Don’t worry – we’re not going to get into the whole process of counting macronutrients and micronutrients – but essentially you just need to be aware of the ‘calories in and calories out’ idea. According to most experts in the fitness and health industry, the best way to look at it is the 80/20 split. This essentially means that shifting a few of those excess pounds will come 80% from changing up your diet, and 20% from moving around a bit more. To start losing some weight you simply need to eat a few less calories than you burn off each day. The great thing is that this doesn’t mean you have to declare that you won’t so much as sniff a piece of toast again or that you will start your marathon training tomorrow. You just need to make small, sustainable changes. Why not try a couple of weeks of eating a high protein breakfast such as scrambled eggs with a side of fruit each morning. If you combine this with cutting out just a few of your daily treats or replacing them for healthier alternatives like fruit or vegetable snacks, you will really start to see a difference. Cooking fresh food from scratch at home and ditching the fast food or takeaways will make the world of difference too, so invest in some nice new kitchen utensils and get excited about trying out some new recipes! Even better, if you can do all of that and manage to fit in an extra walk or jump on YouTube and search for some beginners 10 minute at home workouts you can start to reach that calorie deficit pretty easily. Why not try this one? You might be wondering how catching some extra zzz’s could have anything to do with healthy eating, but research shows that sleep is really important for our health. Sleep can help us to curb unhealthy food cravings as well as increase our metabolism and the rate at which we burn off excess fat. Sleep is a really important factor and getting enough can positively impact our mood, mentality and physical health. The time we spend sleeping is dedicated to our bodies for repair, and allows our brains to process information from the day and reinforce our memories. However, these systems can only function when we enter deep sleep, a few hours into our sleep cycle. If you are only catching a couple of hours rest a night, your body can’t effectively repair itself and this can leave you feeling sick and tired the next day. If you are struggling to drift off at night, treat yourself to some fresh new bedding from our Northwich store and turn your bedroom into a place of total relaxation. So, you can thank us later when you set that alarm to snooze and treat yourself to a lie in on your next day off! That’s right – you heard us correctly. Treating yourself to some new quality kitchenware, sleepwear and kitchen utensils can help you commit to making these healthier changes. We all know that aspiring to have a healthier lifestyle is easy in theory but way more difficult in practise. Set yourself up for success by getting the right equipment for healthy eating and sleeping. At Bratts, we have an extensive range of cooking essentials in our Northwich store that can help you to begin creating your food for a new, healthier you. By using fresh ingredients with our high-class equipment, you can make all of your favourite foods but as healthier versions right from your home. The various kitchenware we sell can make cooking and baking much easier and more enjoyable, so you feel more inclined to learn these new skills! Not only that, but we sell linens and pyjamas that can help make your sleep more comfortable and relaxed to encourage you to jump into bed an hour earlier (rather than clicking ‘keep watching’ on Netflix – we’re all guilty!). With softer sheets and relaxing clothes, you can have deeper and longer rest – precisely what is needed to allow your body to improve and repair so that you wake up feeling refreshed and ready to cook up a healthy breakfast. Deciding to aspire for a healthier lifestyle can be a somewhat easy decision, but in reality, it can be hard to implement at the start. You need the right knowledge, motivation and tools to make your new, healthier life, stick. 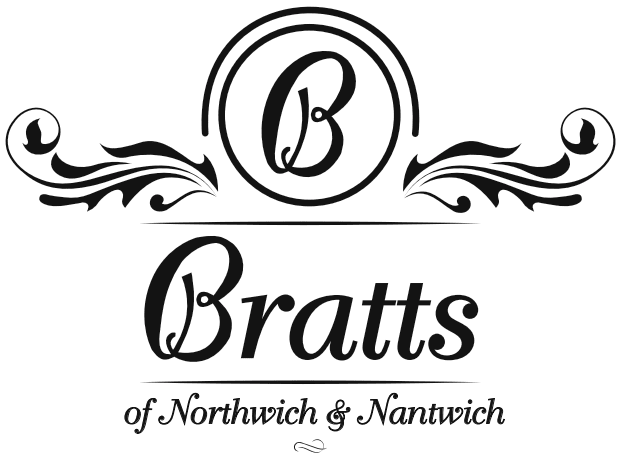 By visiting Bratts of Northwich, we can help you find all the kitchenware, cookbooks, linen and clothes you need. Our cafe even has a delicious range of healthy snacks and treats so that you can stick to your plan whilst shopping for some new bits! Go out and hit those resolutions and make 2019 the year to a happier, healthier you! Feel free to contact us today if you want to learn more about our business.